At least 721 Twitter accounts are currently banned in Turkey, according to US-based BuzzFeed online news outlet on Jan 24. 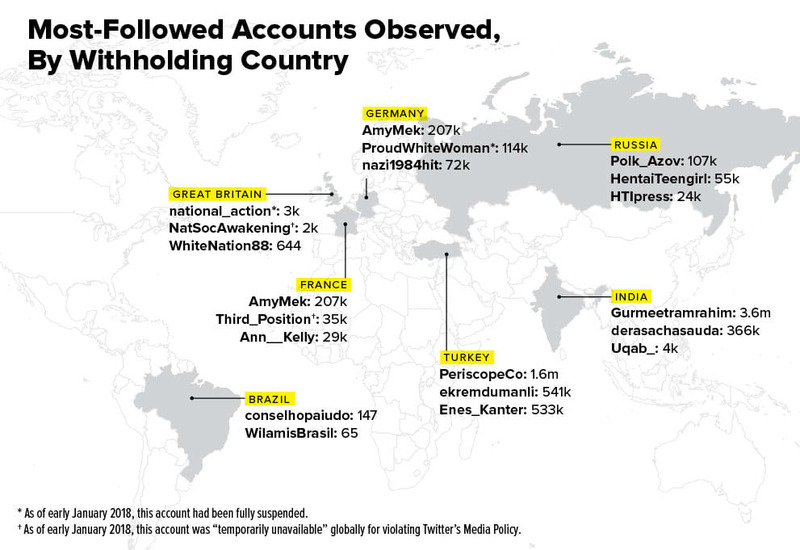 Obtaining data from Twitter and its own sources, BuzzFeed said the country with the most withheld accounts in the data set is Germany with 758, followed by with Turkey with 721, and France with 261. 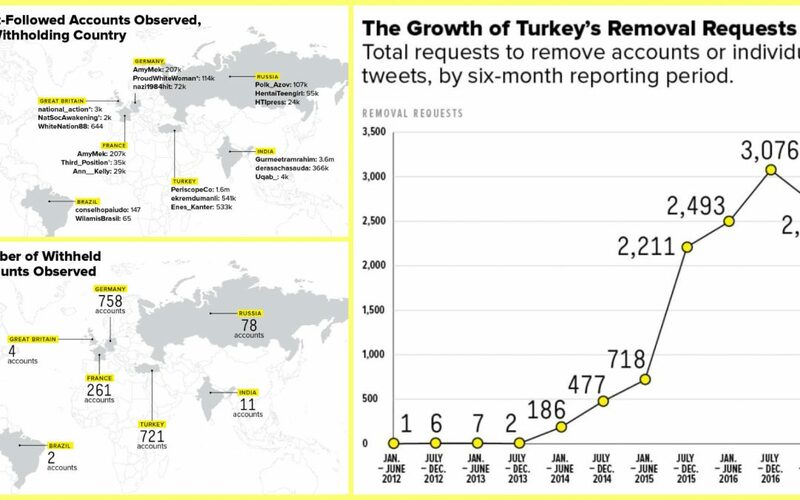 Turkey has in total made at least 11,887 requests to withhold accounts or specific tweets since the creation of the program, BuzzFeed said. Twitter turned down majority of the requests while banning 721 of the accounts. 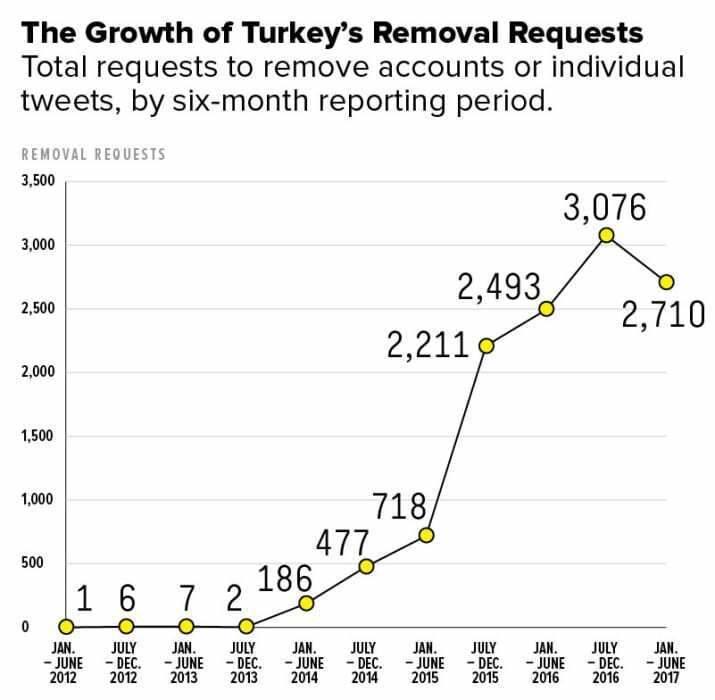 BuzzFeed said 719 of the accounts banned in Turkey were reviewed by local a pair of journalists who determined 386 of such accounts to be pro-Kurdish or supporter of the outlawed Kurdistan Workers’ Party (PKK). While 242 of those accounts are pro-Gülenist, another 58 were identified as being aligned with leftist or left-leaning organizations. Gülenist accounts have nearly 10 million in total while the next-most-followed group, the pro-Kurdish accounts, had 2.5 million total followers. The three most popular accounts withheld in Turkey are Periscope’s corporate account and the accounts belonging to journalist Ekrem Dumanli and NBA player Enes Kanter. Both Dumanli and Kanter were blacklisted by the government for their links to the Gulen movement. “Other withheld Gülenist accounts include journalists, writers, and academics linked to the movement, as well news-focused accounts created to disseminate articles about the movement to followers. The withheld Kurdish accounts include journalists, activists promoting Kurdish causes, and news accounts,” BuzzFeed analysis showed. BuzzFeed also said that not a single pro-government account has been withheld in Turkey. 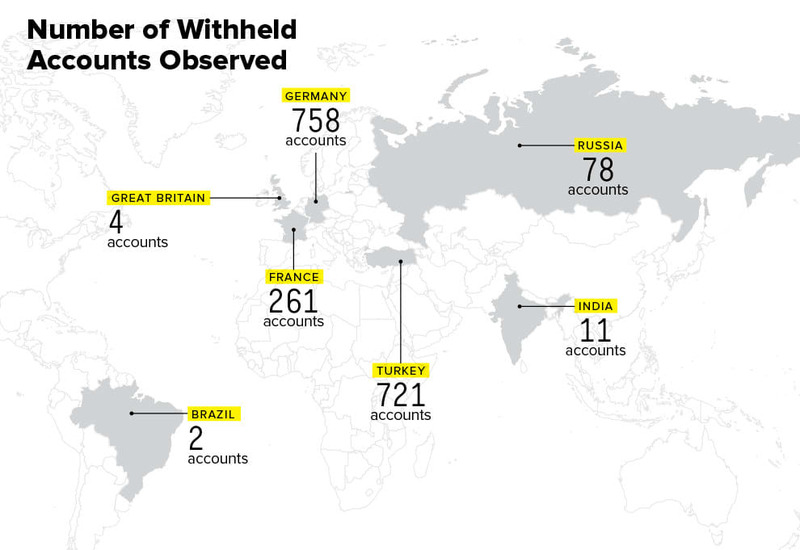 “Long list of “Withheld” accounts in #Turkey including mine. Shameful censorship by @Twitter,” Turkish journalist Ali H. Aslan tweeted sharing the BuzzFeed’s raw data regarding the withheld accounts.